Dixie Massey, a senior lecturer in the College, partnered with the school to create the program, which provides one-on-one tutoring to Whitman students. During the month-long program, each student works with a UW tutor for 12 90-minute sessions. UW tutors come from the College’s reading endorsement program, which gives teachers and soon-to-be teachers special preparation in teaching reading and working with struggling readers. Kimberly Latwesen, who recently completed her master’s in teaching at the UW, will begin teaching at Seattle’s Cascadia Elementary in the fall and served as a tutor this summer. During her student teaching experience, Latwesen saw a dramatic manifestation of the reading gap in one first-grade classroom. During the first week of tutoring at Whitman, Latwesen said she focused on getting to know the student she was working with and figuring out a topic of interest to them. Among the topics students explored were homelessness in Seattle and the potential impact of a large Cascadia earthquake. “Working intensively with a student to gain a greater understanding of the role of student motivation in reading was great preparation going into my first year of teaching,” Latwesen said. Alphonse Leopold, who is working on his master’s degree in special education in high-incidence disabilities, said tutoring two students in this summer’s program highlighted the importance of meeting students where they’re at. One of his students, for example, was interested in vampires, so Leopold started doing his own research into vampire lore. That helped Leopold think about opportunities to connect the student’s interest in the subject with particular reading and comprehension skills. 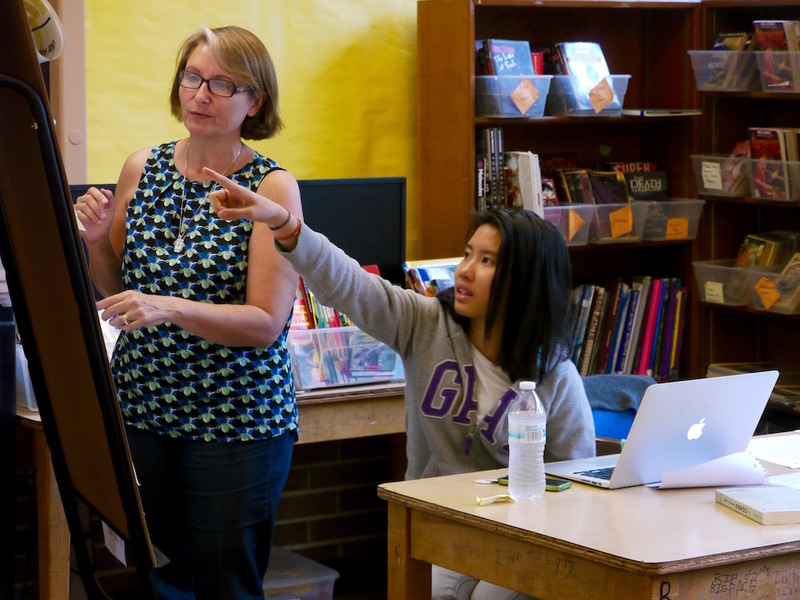 Sue Kleitsch, currently in her fifth year as Whitman’s principal, said offering the summer intensive reading program is particularly important at her school, which has one of the highest percentages of homeless students in the entire district.